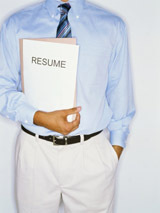 Stymied by a particularly difficult resume problem? You’re not alone. Many of the clients I work with in my capacity as a Certified Professional Resume Writer (CPRW) come to me because they’re not sure what the solution to a particular issue is. What’s interesting is that, by and large, most of the problems revolve around one of the three major issues below. Take a look- hopefully it helps solve your particular issue and get you moving towards a great new job! Yes, a resume needs to contain relevant job details and accomplishments. However, if your document is looking more like a novella than a concise summarization, something’s off. Overlong resumes are the SINGLE BIGGEST REASON behind rejected applications. The trick behind solving this issue isn’t thinking in terms of length, but focus. Solution: Identify your personal theme. Look through your work history. In what areas have you consistently excelled? Make a list of three to five skills that you possess, and which are heavily in-demand by potential employers (hint: analyze relevant job postings). These will form the “personal theme” of your resume, a set of ideas that are meant to differentiate you from the competition and pique interest in a reader, resulting in interviews. Develop and opening paragraph that lays your personal theme out and keep returning to it in different forms throughout the work history portion of your resume. This approach will lend focus to your resume and make it much easier to cut non-relevant information. Many job seekers turn to the included templates in MS Word as the underlying structure of their resume. Unfortunately, the vast majority of these templates are either outdated, loaded with unnecessary graphics, sidebars, etc., or else unsuited to the particular needs of recruiters and hiring agents. While it’s not necessary to start from scratch, some tweaking is required to de-clutterize your resume. Solution: Implement a reader-friendly structure. Structuring your resume to deliver a great experience for a reader is one of the best ways to ensure your document actually gets read. Ideally, your resume should divide up each of the following into separate sections. A “Core Competencies” or keyword section listing in-demand terms (note: horizontal bullets work very well here). A “Professional Experience” section with job responsibilities described in paragraph form and “Key Accomplishments” listed as bullets. Brief closing sections listing educational credits, publications, etc. You’re looking over the resume and, even though there’s nothing terribly wrong about it, it also doesn’t make much of an impact. Don’t ignore this feeling: if you’re not excited about submitting the document, chances are a reader won’t be excited to read it. Luckily, there is a fix for this issue: effective wording. Every sentence should start with a verb. Examples include Managed, Optimized, Controlled, Guided, etc.